Description When a switch is activated, the LED should go on and stay on for 1 second. This flowchart explains in general language what has to happen. A flowchart like this one might be drawn before a more detailed chart that gives the actual assembly language instructions. 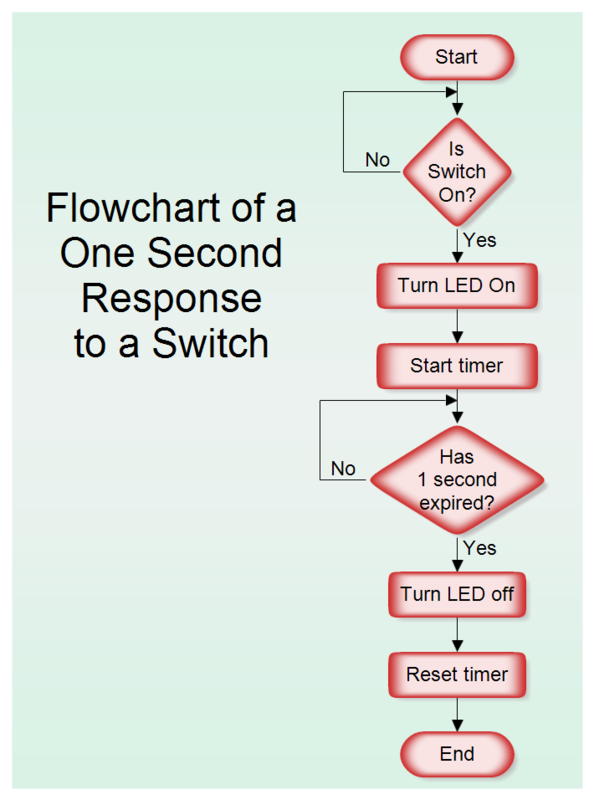 Once RFFlow is installed, you can open the above chart in RFFlow by clicking on flowchart_one_second_response.flo. From there you can zoom in, edit, and print this sample chart. It is often easier to modify an existing chart than to draw it from scratch. Click the Colored Edge Shapes stencil and then click the Add Stencil button.